Christine Ohuruogu is the first British female to win two World Championship titles. She is 2013 400M World Championship, she was also world champion in 2007. She is also now British record holder in 400 meters. She is also Commonwealth Champion in 400m 2006, Olympic Champion in 400m 2008, World Indoor Champion in 4 x 400m relay and European Indoor Champion in 4 x 400m relay. 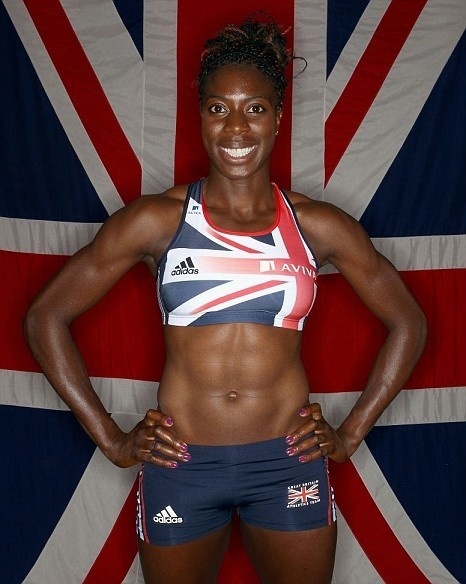 Christine Ijeoma Ohuruogu, MBE is born on 17th May 1984. She is a British athlete, who specialises in the 400 metres; the event for which she is the current World and former Olympic and Commonwealth Champion. She is a double World Champion, having also won the 400 m at the 2007 World Championships, and was a silver medalist at the Olympics in London. She has also won three World championship bronze medals in the women’s 4 x 400m relay as part of the Great Britain and Northern Ireland team. Ohuruogu’s personal best time of 49.41s, set at the 2013 World Championships, beat the UK record set by Kathy Cook in 1984 by 0.02 seconds, simultaneously making her the first British female to win two World Championship titles, the first British female to win three global titles, and the first British athlete of either gender to win three global titles in the same event; she remains the only female British athlete to have done so. She is coached by Lloyd Cowan. Born to Igbo Nigerian parents in Newham, east London, she was raised less than one mile from the 2012 Summer Olympics stadium in Stratford. She competed for Newham in the London Youth Games at both netball and athletics. She was inducted into the London Youth Games Hall of Fame in 2009. Ohuruogu studied at University College London, where she graduated in Linguistics in 2005. She also played netball during her undergraduate studies. 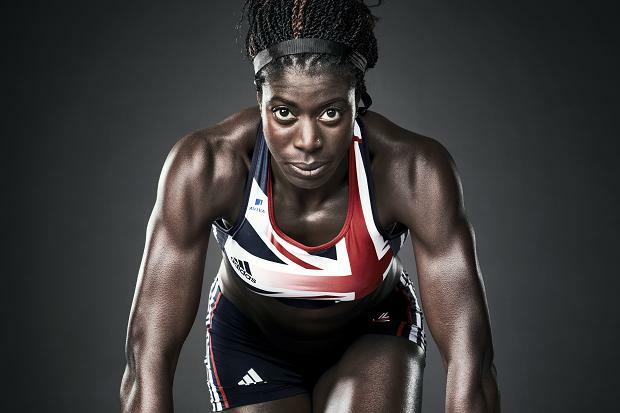 She has eight siblings, one of whom is Victoria Ohuruogu, a sprints competitor. She attended St. Edward’s Church of England School, Romford and Trinity Catholic High School, Woodford Green. Ohuruogu is a member of Newham and Essex Beagles Athletics Club. She was appointed MBE in the 2009 New Year Honours, and conferred with an Honorary Doctorate by the University of East London. She is the author of the “Camp Gold” series of children’s books about an elite training school for budding athletes. In 2003 Ohuruogu was a bronze medallist at 400 m at the European Junior Championships. She became the AAA champion in the 400 m in 2004, was a semi-finalist in the 400 m at the Athens Olympics of 2004, also taking part in the 4 x 400 m relay team that finished 4th. In the 2005 European Under 23 Championships she took the silver medal, losing individual gold by a hundredth of a second. She also won silver in the 4 x 400 m relay. After reaching the semi-final at the 400 m at the 2005 World Championships in Athletics she won a bronze medal in the women’s 4 x 400 m relay together with Lee McConnell, Donna Fraser and Nicola Sanders. Ohuruogu won a gold medal for England in the 400 m at the 2006 Commonwealth Games in a personal best time of 50.28 seconds, beating favourite Tonique Williams-Darling in both the semi-final and the final. She was banned for a year for missing three out-of-competition drug tests; one in October 2005 and then a further two in June 2006. Within 24 days of the end of her year-long competition suspension she returned to win the gold medal at the 2007 World Championships in Osaka. Fellow British athlete, Nicola Sanders won silver with Novlene Williams of Jamaica third. Ohuruogu won all three of her individual races at the world championships ‘â€œ her heat, her semi-final and the final. In 2006 Commenwealth games: Danvers-Smith (centre) should have been the other side of Lewis (left). In the background: Sanders (back left) and Willis (back middle) had to change lanes, resulting in the ‘obstruction’ and disqualification. At the 2006 Commonwealth Games, Ohuruogu missed out on a gold medal due to a mix-up caused by other members of her team. She ran the final leg in the 4 x 400 m relay for England, where the team finished over a second ahead of Australia, with Ohuruogu pulling away at the end. However after the race the Australians were awarded the gold medal, after they protested that the English team had breached IAAF Rule 170 earlier in the race, when Danvers-Smith changed position with Lewis. Australian winner Jana Pittman offered the England team her gold medal, stating “They set the fastest time of the day and England are the winners of the race”. Christine Ohuruogu was suspended from competing in the 2006 European Athletics Championships because she had committed a doping violation. She missed three out-of-competition drug tests, known as the “whereabouts” system, of the World Anti-Doping Code; one in October 2005 and then a further two in June 2006. Under IAAF and British Olympic Association rules, she received a one-year ban for missing these tests, which expired on 5 August 2007. The final test missed occurred when Ohuruogu failed to inform the testers of a last-minute change of training venue after a double-booking. Due to the circumstances, the Independent Committee stated “There is no suggestion, nor any grounds for suspicion, that the offence may have been deliberate in order to prevent testing.”, and that a fair ban would have been 3 months. Ohuruogu passed tests 9 days before and 3 days after her final violation. The British Olympic Association also imposed a lifetime ban on competing at future Olympic Games for Great Britain. She appealed to the Court of Arbitration for Sport, but the original decision was upheld, even though CAS emphasised that there was no suspicion of doping. Ohuruogu submitted a further appeal, citing the precedent of triathlete Tim Don. Ohuruogu suggested that she would probably leave Britain and compete in the Olympics for another country if it was unsuccessful, but confessed “I haven’t really given it any serious thought.”. Her Olympic ban was over-ruled on 27 November 2007. A day after her ban was finished, Ohuruogu was selected for the British team at the 2007 Athletics World Championships. She had only run five competitive races before the final since her suspension; however, she won the individual 400m, taking the only gold medal for Great Britain at the Championships. Nicola Sanders won silver. Ohuruogu was also part of the bronze medal winning team in the 400 m relay. In Beijing, Ohuruogu won her heat against Yulia Guschina who finished 0.18 seconds behind. She won the semi-final over Shericka Williams by 0.14 seconds. In the final she became the first ever British female 400m champion, by beating the pre-race favourite Sanya Richards (bronze) and Shericka Williams (silver), with a time of 49.62s, the fastest time of 2008. In preparation for the European Indoor Championships in Turin, Ohuruogu set personal bests in the 60 metres and 200 m at the Birmingham Grand Prix. She competed at the 2009 Manchester City Games, finishing second in the 150 metres final in 17.10 seconds. She ran a personal best 22.85 seconds to take second place in the 200 m at the Fanny Blankers-Koen Games. Ohuruogu was selected for the British team at the 2011 World Championships. She was disqualified from the individual 400 m after a false start. Ohuruogu won the silver medal at 400m in the 2012 London Olympics. In a close race Sanya Richards Ross held on to take the gold while Ohuruogu produced a fast finish to beat DeeDee Trotter and Amantle Montsho by just a few hundredths of a second to take the Silver. Trotter took Bronze and Montsho, the World Champion finished fourth. Richards-Ross won in 49.55s, Ohuruogu ran a season’s best time of 49.70, which is only the third time she has run under 50 seconds. Ohuruogu said she was “heartbroken” to not be able to defend her title. In 2013 Athletics World Championships. Ohuruogu claimed a second World Title on 12 August 2013, becoming the first British woman to do so, by winning the 400m final in Moscow. A late surge helped her pip Amantle Montsho in a photo finish, and beat Kathy Cook’s long-standing British record in the process, with a time of 49.41s, beating Montsho by 0.004 seconds. Ohuruogu, three months old when Cook set the mark at the 1984 Los Angeles Olympics, has won more world and Olympic titles than Dame Kelly Holmes or Paula Radcliffe. She has battled back from her 12-month suspension and a thigh injury that made her think ‘Ëœmaybe my time is up’ and she was just ‘Ëœbeing greedy’. Yet the public reaction to her scintillating win in Moscow, when she somehow battled her way to gold by just four- thousandths of a second, has been mixed. The Briton feels she can still go faster than 49.41sec and has vowed to cap a stellar career with a second Olympic gold in Rio in 2016, but how much must she win and how fast must she go before Cowan’s words finally ring true? That she seems not to care, insisting she runs purely for her own ‘Ëœpersonal satisfaction’ and is ‘Ëœjust Christine’, only makes her more intriguing.